We offer many services including engine rebuilds, engine rebuilding and engine replacement as well as a mobile auto repair service to the Colorado Springs community! See what people are saying around Colorado Springs about our engine rebuilds and engine rebuilding! We also want to hear what you have to say about our mobile auto repair! We have been serving Colorado Springs since 1994, we have the skills and tools for engine rebuilds, engine rebuilding and engine replacement as well as auto repair, get in touch with us today! A Action Services has been in business serving Colorado Springs, Teller County and the El Paso County since 1994. We Provide a range of service from engine rebuilds and engine rebuilding to auto repair right here in Colorado Springs. So if you're having a little car trouble and need an auto repair we are there to help, we can come to you with our mobile auto repair fleet if you are unable to get to us! If your car needs its engine replaced or an engine rebuild we are you one-stop-shop right here serving you in Colorado Springs! We also have a towing service available to bring you back to our shop to carry out any auto repair, engine rebuilds, engine rebuilding or engine replacement. 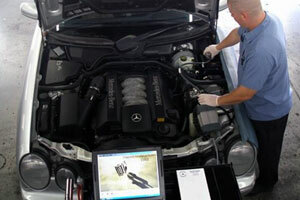 At A Action Services we are dedicated to providing professional customer service and auto repair. Our Technicians, both in our shop in Colorado Springs, and our mobile auto repair fleet who go out and around the Colorado Springs area, are ASE certified. This ensures we only provide the best quality workmanship, when it comes to your auto repair, engine rebuilds, engine rebuilding and engine replacement. We are proud members of the Better Business Bureau® and hold ourselves to a high standard which is reflected in our rating!